The worlds most popular CMS and Blog ... FREE! One minute from now you could be blogging or managing your own website. With our popular 1-click Install system... double click on the Wordpress Icon in your control panel and you are done. Yes, its that easy. If you are not confident about installing Wordpress on your Calco Hosting Package yourself, we will do it for you free of charge. Pictured below is Wordpress. 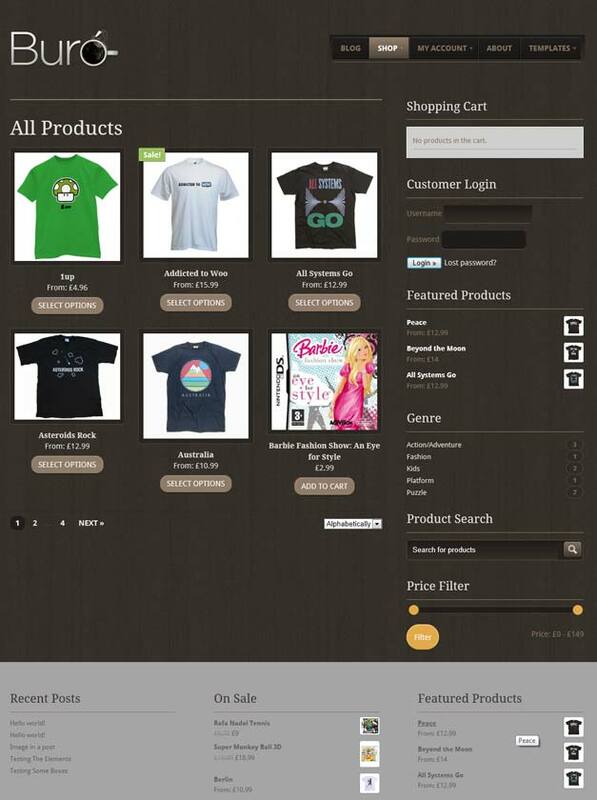 You will notice that it looks more like an shopping website than a blog and thats because Wordpress is VERY flexible. In the past Wordpress was used by bloggers because of its ease of use and superb navigation management. Its these features that let many of us to think, what would Wordpress be like WITHOUT all the bloggy stuff on the font page..? The answer is simple - it would be the world's easiest content management system. It is for that reason it is now the most common/popular CMS (by far). 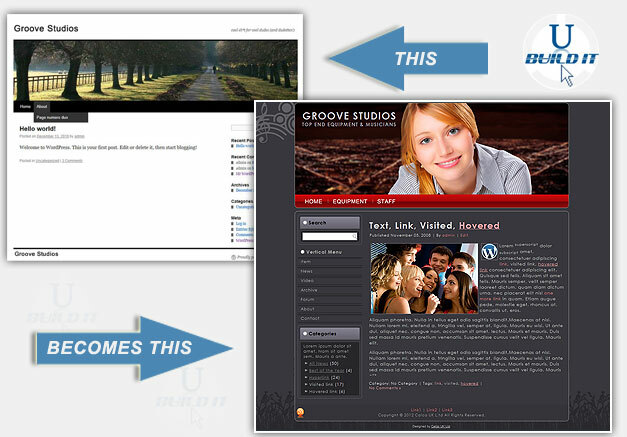 Themes as the name suggests changes the theme or look of your Wordpress Website with one click. Simply download a theme you like, install it and hey presto you have a brand new looking website - its automagic! Wordpress Default Installation looks something like this (below), so its likely you will want to install a template or THEME. 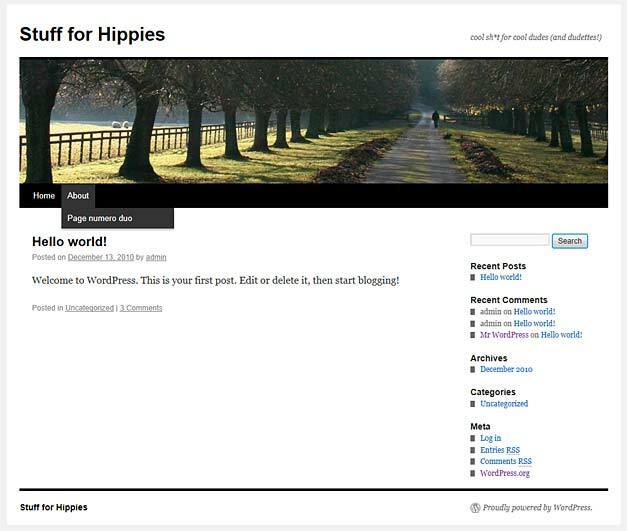 Figure 3 - The basic Wordpress install (functional, bloggy and dull) - but really easy to work with. Worried about installing Wordpress on your "99" hosting package? Call or email and we will do it for you! WORDPRESS IS BACKED UP - ISNT IT? All Calco UK Wordpress INstallations on 1st Choice Platform come with a TWO STEP back-up for Wordpress. 1. Go to your control panel and click back-up & Restore (top section). Click FULL Backup (or partial if you know what you are doing) and follow the instructions to download the zip file back-up. 2. On the same page as above you will have seen a small note that says .. Please note that this only backs up the web site files (as available via FTP). This means, for example, that databases are not backed up here: you can modify and back them up from the databases page. Click this link and follow the instructons. Download your Zip file and keep it safe. BACK UP REGULARLY AFTER CHECKING YOUR WORDPRESS SITE IS FULLY FUNCTIONAL!